The kickoff to the 37th Sports Officiating Summit begins at the The Davenport Grand in Spokane, Washington featuring a welcome from distinguished presenters while keynote speakers will set the tone for the event to come. Directly following the Grand Opening, we will gather for the Summit Welcome Reception. Meet old friends, make new connections and enjoy an evening filled with a great hors d’oeuvres, cash bar and stirring conversations. This event is included with your registration fee. Knowledge, belief, behavior. You train sports officials to enable them to carry out their responsibilities. The landscape of those responsibilities has changed. Questions have to be asked. Is officiating training keeping pace? How relevant is it? Does the training actually put officials in a position to succeed? Take three steps: First: nail down your knowledge base. Second: review the beliefs you export. Third: focus on the behaviors that matter most. This session delivers a vivid picture of officiating training as we know it today. Think of this session as the “known-knowns” of training officials. Professional training techniques will change the face of officiating. What percent of officials understand the full significance of the roles they play? Often it takes an “outsider” to help insiders come to grips with such a fundamental question. The key to having a quality training program is the desire within everyone concerned that the program succeed. That transition must take place in how sports officials are nurtured and nourished. Training for accuracy, efficiency, effectiveness and satisfaction. What does officiating training and education look like now versus 20 years ago? How did we orient new officials back then versus today? What have we lost? What have we gained? What sort of training opportunities are we offering our veteran officials? How do we get past the idea that someone is “fully-trained”? Do we have too many complacent veterans? How do we keep them engaged? What is the role of camps & clinics in the overall training experience? Who are they targeted toward? Do those camps help or hurt training goals? What messages are officials hearing? Are they consistent between the local associations, the state associations, camps & clinics? Are the educational goals consist between training in the same organization? Are current training techniques inclusive? Do traditional educational and orientation approaches work with everyone regardless of generation, race or gender? Do our approaches need to change? There is no doubt that technological tools have provided many new avenues for training and educating officials? Are we using those tools wisely? Are we over-dependent on distance learning and self-study? What is the role of mentors in the onboarding process? How critical is a formal mentoring program to early success and orientation into officiating? How can mentors continue to provide education and education? What do good officiating meetings look like? What is the balance between training and other meeting business? What form do they take? Breakouts? Video? What’s the right recipe? How much thought do we give to developing courses of study in officiating? Are we simply reactive or do we plan out full programs? How engaging are those programs? What is the impact of delivering them online vs. in -person? Much of our focus involves preparing newer officials during their first year or two, but are we doing enough to provide continuing learning options? Do we have too many under-prepared third-, fourth-, and fifth- year officials? • What Are We Doing Wrong? When considering officials’ training, education and orientation efforts, what’s not working? Why isn’t it working? How can we make meaningful changes to those problems? What are some topics and aspects of officiating that we rarely, if ever, train on? When does most “training” occur – in season or offseason? When training, education and orientation efforts work well, what are the common reasons? What approaches prove successful? What factors determine that success and who exactly makes that determination? What’s new? What works? What will make your officiating program more effective? The largest gathering of products and services serving officiating. From leading-edge companies and organizations. This place and this time – set aside for you to immerse yourself, introduce yourself, inform yourself. In just a few steps, you experience the latest tools, techniques and tested programs to help you better manage, lead and administer sports officiating programs. 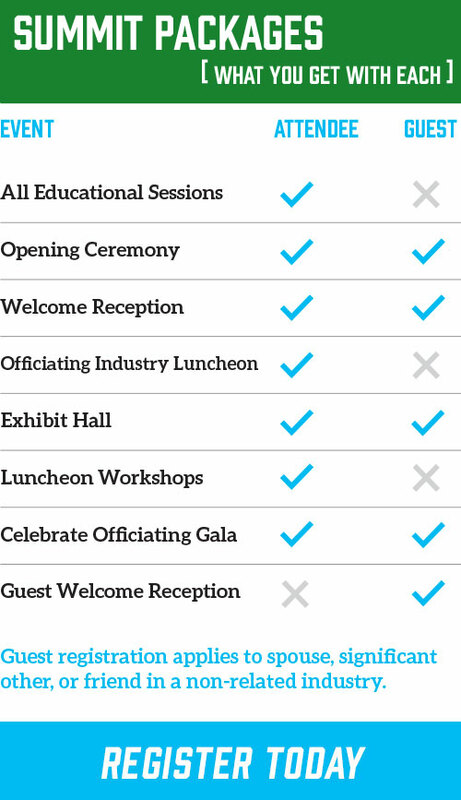 The Officiating Industry Luncheon (OIL) is the largest attended event of every Summit. A superbly-catered meal followed by remarks on the state of sports and officiating by Executive Director Karissa Niehoff of the NFHS and Barry Mano, president of NASO. The audience is composed of the best and brightest in the world of officiating – at all levels. The OIL provides the only annual national overview of the main accomplishments and the primary challenges of officiating management: high school, youth, collegiate and professional. A must for any officiating leader. Watch, listen, express yourself, network. Sport-by-sport video breakdown sessions that have record-breaking attendance every Summit. Immerse yourself in a sport you work or manage. Led by some of the most respected and renowned officials. The plays, the mechanics, the rules, the enforcements, the philosophies: hear the breakdown, listen to the dialogue and then add your perspective. Together with the others, you help to build the body of officiating knowledge and practice. Hands-on. Ears open. Let’s talk shop! Call ‘Em the Way You See ‘Em! Never met a call we didn’t like! These “great” calls were always TOUGH calls – made by great officials. An array of plays, on huge screens – presented by the supervisors/coordinators who lived through and with them. You get to vote…let your clicker be your guide. Your vote is tallied and quickly the audience makes its voice heard – on full display in the front of the ballroom. Terrific mix of education and entertainment – just plain energizing to watch officials work through plays worth remembering. One of the Summit’s highest rated sessions! Fox Sports’ celebrated football officiating analyst Mike Pereira will have his mojo working. First, his stand-up monologue about the trends in officiating and the impact of media on that. Then Mike, using a late-night talk show format, brings to the sofa, noted personalities – each with opinions, stories and personal remembrances about officiating. The interaction is stirring, never dull and can be emotional. A unique concept – one guaranteed to keep you on the edge of your seat. 70% do not return to officiating after 3 years! Based on recent surveys, that is fact. And fact is, we need to change that to increase the number of officials. The turn-ons and the turn-offs will be on full view. Say Yes to Officiating enables us to light a fire in others – stoking their interest this undertaking. So many barriers stand in the way and we need to begin knocking those down. Expensive uniforms, onerous meeting requirements, old-school delivery mechanisms, dated instructors, out-of-touch materials for a mobile world…the list goes on. Let’s get after it! 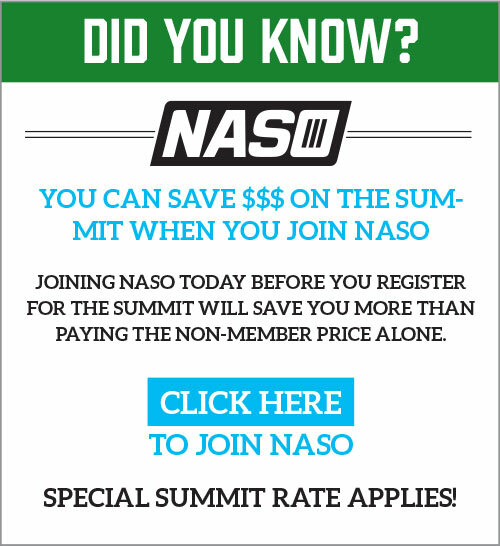 One of the Summit’s most practical bank of sessions. These shorter concurrently running presentations are fast-paced and each focused on a topic of unique importance. Each Game Changer has been carefully selected by NASO to provide unique insights, showcase cutting-edge tools, and shine a light on innovative areas of the officiating industry. You will be able to attend more than one of these sessions because of the way they are timed. Each speaker has a concept, service, tool, product or study that can be a true Game Changer for you and your officiating program. Every year, this session gets rave reviews for its practical and timely presentations. Time to get going! Who is doing officiating training the right way? Each panelist is tasked with showing an innovative, out-of-the-box program or initiative that actually trains officials into a position to be successful. See the videos, and the websites. You will hear about the unique clinics and see in-person demonstrations to use back in your own shop. Each panelist has primary responsibility for the topic being presented. This session alone will give you the “takeaways” you come to the Summit to find. Works for them, and tailored to work for you. It’s grab-and-go lunchtime. Pick up your complimentary boxed lunch in the main hallway and head back to work. Choose from one the following lunch workshops. For quick reference, “NFL White Hats” is a leadership workshop perfect for any Summit attendee, “Legal & Insurance Q&A” is geared toward local officials association leaders, the “State High School Association Leadership” forum is by invitation only for state association staff members, and the “National Governing Body Officiating Forum” is specifically for attendees involved with NGBs. In the main ballroom, this session led by NFL Referees Carl Cheffers and Craig Wrolstad, features the latest leadership lessons from the best in the pros to help you run your own show. Expect key messages from Cheffers and Wrolstad, followed by breakouts for participants to discuss how apply them, before returning to present breakout findings to session attendees. Yes, you’ve got questions. Summit attendees want hard information about the law and legal responsibilities that affect officials and organizations that use their services. 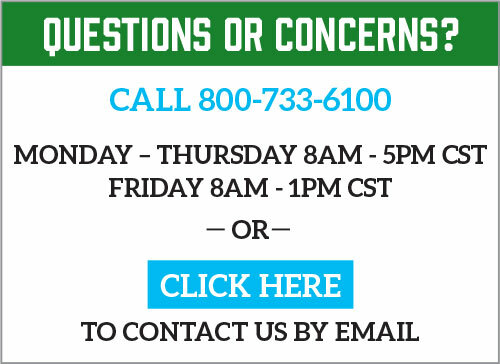 They want definite, understandable answers to the questions they have about insurance coverages and legal risks. These areas are the bedrocks of smart, savvy and sensible officiating practice in today’s litigious world. This workshop is perfect for local association leaders. Bring something to take good notes! Invitation-only, closed-door, workshop for state high school office executives, staff members and invited guests – a unique opportunity to share ideas and best practices. Topics regularly include: new requirements for officials, how and when to discipline, public-statements about officiating, state-tournament officiating selections, turning video into a program that can teach, improved interpretation meetings, recruitment efforts, background checks, budgeting tied to registration fees and much more. New this year and strictly for NGB officiating representatives and other staff to get together, discuss common challengers, share stories and solutions and find common ground concerning officials and officiating programs. If you’re at the Summit and work for a National Governing Body, this lunch workshop is for you! Revealing and reported! Summit attendees have worked hard. Especially in Monday’s Training on Track Workshop session (M3). That session discussed, argued over and evaluated 12 essential topics – all with a training bent to them. Now, that work is finished and the results have been assembled. This session is the reveal of those results and some are stunning. This session is a gift – takeaways you will quickly put to use in your teaching and training efforts. Guaranteed to be one of the most revealing and riveting sessions in Summit history. Status check. An historic case with the potential of remaking the officiating landscape. It erupted in Eastern Pennsylvania, its tremors felt from coast to coast, and beyond. Why did it start? What was the path that took it first to the NLRB, through an appeal to the NLRB and then to the Federal Circuit Court of Appeals? What’s at stake? If amateur officials are deemed to be employees, what changes? If they continue to be independent contractors, what stays the same? The ground continues to shift under our feet. How about we talk about us? The concept is simple: speakers under the lights, each telling a story, giving an insight, sharing a moment – each that will help you reflect, think deeply and reconnect to what is important in officiating. RefereeVoices will put words in your mouth. Not to be missed. Mix and mingle with all the attendees, speakers and luminaries of the officiating world before the big gala. Join us as we celebrate the best that officiating has to offer during an elegant evening banquet to close the 2019 Summit program. NASO is privileged to recognize the efforts of outstanding people and outstanding deeds by awarding the Mel Narol Medallion Award and officiating’s highest honor, the Gold Whistle Award. You’ll feel an intimate connection with and tremendous pride in our shared officiating community – while at the same time helping to recognize those who have made an impact.